From our wide range of products, we are admirable in tendering Hair Dye Color Brush that are used for applying colors on hair. Fine soft hair, gentle on your skin, reaches every unwanted hair. Better grip and even application, can be used to apply both creamy/liquid bleach. 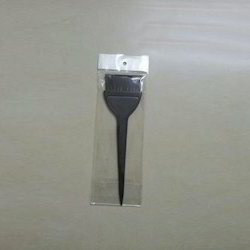 The Hair dye Brush looks like a wide paddle brush that makes it easy to apply hair colour from root to tip and also reach the back of the hair. 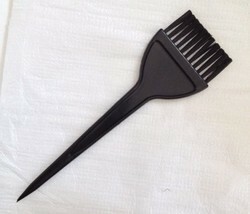 We at Mariancare undertake bulk orders for manufacturing of the Hair Dye Brush in varied shapes, sizes and colours using the standard/quality materials. These brush are used to apply henna/hair colour. The brushes are made from high-quality synthetic bristles, which enable you to apply hair care products evenly, help reach roots of the hair and ensure even and full coverage. We offer high quality Colouring Brushes. A high quality “Melon Ezee hair dye brush offers easy application for hair colouring/hair dyeing for ‘salon’ and ‘in home’ for personal use. Being one of the leading organizations in the market, we are engaged in providing an exclusive range of Hair Dye Brush.